What is Small and Mighty at the Same Time? 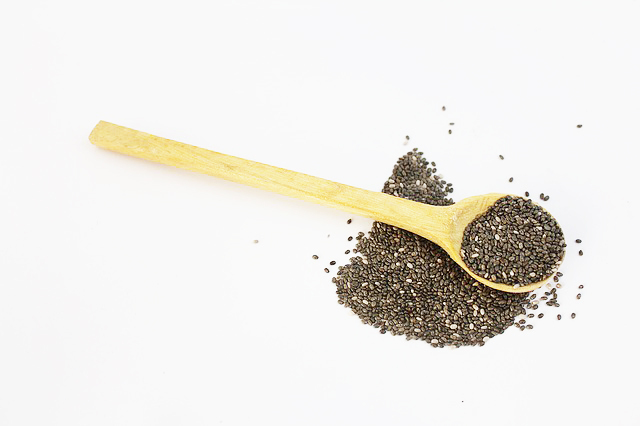 Chia seeds are one of the hottest superfoods these days. Did you know that chia seeds come from the flowering plant Salvia Hispanica, which is related to the mint plant, and native to South America? The Mayan and Aztec cultures use these seeds for years as a long lasting source of energy! The word “chia” means strength in the Mayan language, and these seeds were used during battles for their source of energy. Although small in nature, they are mighty. Also, they are a good source of minerals (potassium, magnesium, phosphorous, calcium), protein, antioxidants, and omegas. Surprisingly, they are higher in Omega 3s than salmon! Omega 3s can help with balancing blood sugar, lowering blood pressure, and reducing inflammation in the body. You will feel full longer and they help to lower cravings between meals. You can eat them raw or soaked, or you can grind them up to use as flour. However, with any type of nut, seed, or grain, you should soak them first. This will get rid of the phytic acid layer and will make it easier on the digestive system. Also, enjoy this simple and basic recipe. Feel free to add any ingredients of your choice! Not a big fan of the texture of chia seeds? Mix the pudding recipe together and put in a blender, where it will become like a whip or thick yogurt (that’s how I got one of my kiddos to eat it – he didn’t like the original texture, and he never even knew he was eating chia pudding once I blended it!!). Try adding granola, shredded or flaked coconut, fresh fruit, nuts, or seeds to add more flavor and/or create different textures. Alicia is an Associate Clinician at the Well of Life Center for Natural Health. The Well of Life Center is a holistic wellness center that specializes in nutrition, chiropractic, massage services, and more. Celebrating their 10th year in business, the Well of Life Center has locations in Doylestown, Bethlehem, and Ottsville, PA. For more information, please visit welloflifecenter.com.